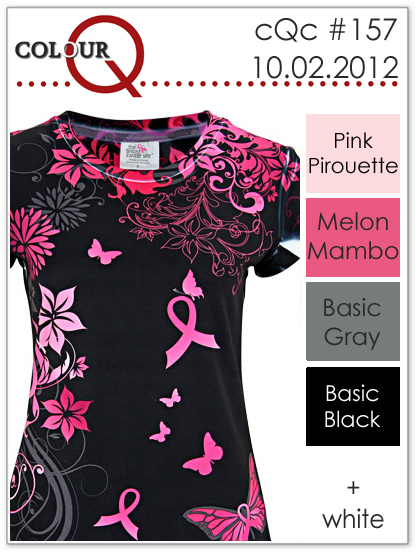 Time for another new colourQ challenge. Arielle picked the perfect colours and inspiration for October which as you know is Breast Cancer Awareness month. Check out that shirt in the inspiration photo! Beautiful...love how you outlined the card with a touch of patterned paper. totally awesome! love the grey and pink combo! Beautiful and serene Tracey! Really pretty! 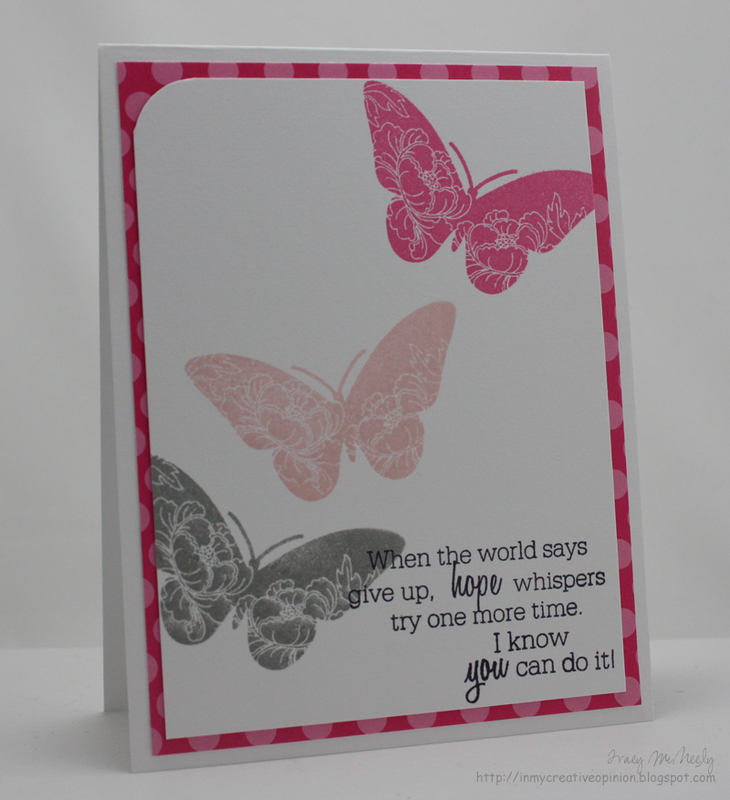 Love the inspirational sentiment on your card and those butterflies are fab! Great take on the colours! What a beautiful card. The perfect image and sentiment combination. Beautiful Tracey! I love that you pared it with pink polka dots. Such a peaceful card. Tracey, this is just so classy and elegant...a real beauty with those beautiful butterflies. gorgeous butterflies!!!! I love your card! This is gorgeous Tracey and the sentiment is beautiful! so beautiful, tracey... love those butterflies! Very, very pretty. 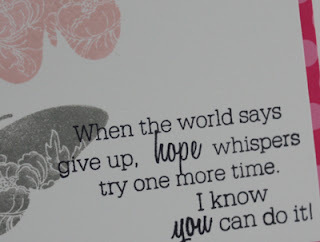 A perfectly inspiring card. ;-) LOVE the butterflies! Your butterflies are wonderful! Love the polka dot background! Another great one ~ LOVE how you used both sentiments ~ FANTASTIC idea!